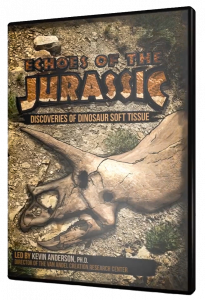 The Creation Research Society and Evidence Press are producing a documentary about the discovery of soft tissues in a variety of dinosaur specimens. 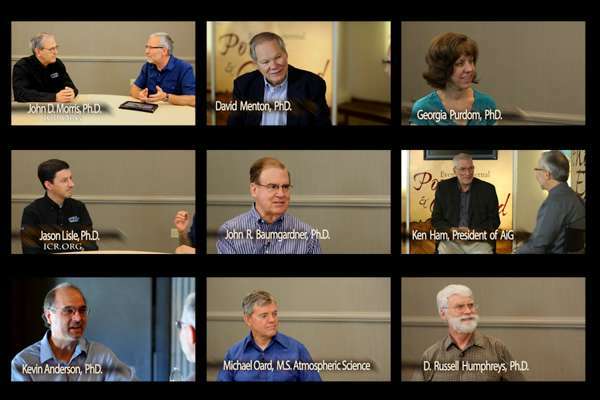 This is one of several interviews we have filmed with scientists talking about the discovery. In this interview Thomas said, “…science shows that these bio-materials fall apart at a regular rate under the optimum preservation conditions. Best case scenario, it still falls apart. Why, because of the second law of thermodynamics.” He went on to say that the fact that bio-materials fall apart applies to all of biology, there are no exceptions. The establishment scientists have two camps for explaining the soft-tissue discoveries. The first says, we understand soft tissue decay and nothing can survive for millions of years, these are not original bio-materials from dinosaurs. Rather, the results are either from contamination or bio-film. The second camp explains the problem by saying, the discovery of proteins and numerous observational tests have proven these are original dinosaur bio-materials. They go on to explain the presence of soft tissue in 68 million year old dinosaurs by claiming the presence of iron acts as a preservative. They then minimize the problem by saying we can expect these bio-materials to last millions of years — it’s not a problem. Neither camp considers that the obvious alternative explanation, evolutionary dates for dinosaurs are wrong! However, the implications for such a conclusion are too catastrophic to consider. It is unthinkable and they cannot provide that option to the media or to the public. 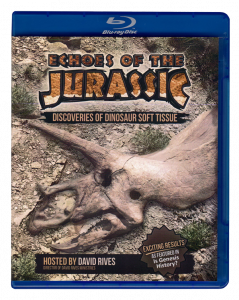 However, in our documentary Echoes of the Jurassic, we will. This is why we are producing this documentary. 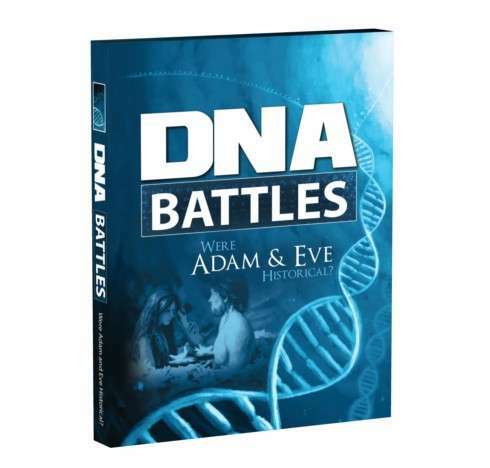 While the evolutionists want to keep this evidence in the closet (or at least keep it minimized as a preservation issue) we want everyone to know about it and understand its significance especially in light of the collaborating evidence we will provide. +Jesse King I appreciate your comment. If all we had was this one piece of evidence then your comment would hold more weight. When one considers corroborating evidence such as carbon dating of the tissues consistently in the thousands of years, the cross bedding geology and areas with swirls of sediment in the deposition — these better support the Flood model. In addition are from around the world ancient petroglyphs, tapestries, drawings of various dinosaurs. Add to that multiple lines of evidence growing against evolution and in favor of creation such as the overturning of Junk DNA and the so-called 1% difference between humans and chimps. As science progresses more and more people will come to realize the not being able to criticize evolution won’t cut it anymore. +dan b Evidence that God is real is all around us. 1. In the cities the results of human design is everywhere (clothes, phones, cars, buildings etc.). When you see a birds nest, this too is a result of “intelligent design”. Likewise when we look at the amazing workings of the cell we again see design. The cell and all of life is evidence of intelligent design and that is evidence of God. 2. For origin of life, evolutionary scientists point to abiogenesis (the idea that life came from chemicals). But where is the evidence for it? Yet the Law of Biogenesis (life only comes from life) is seen every day. 3. We now know that DNA is a massive code similar to a computer’s operating system only much more complex. To go from the simplest form of life (like a bacterium which is a prokaryotic cell) to more complex form of life with eukaryotic cells would require reams of new code that did not exist before. In fact, it would require a rewrite of the original code. Code does not get written by chance, time and mutations. Only intelligence produces code and intelligence of this extreme magnitude is clear evidence for God. All three of the above sources of evidence are forms of empirical evidence. They are observable, repeatable and they point to a supreme intelligence. The Bible reveals who that intelligence is. I am well aware that there are things in the Bible that are confusing. I recommend books from Lee Strobel such as The Case For Faith. 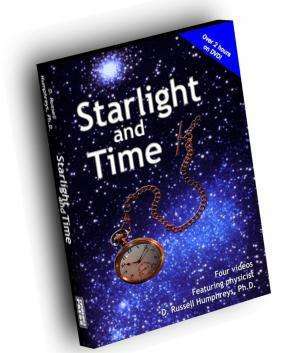 You can also get his materials in DVD but the books are more detailed. One more science tid bit. Proteins are known as “the building blocks of the cell”. They make up all or part of every structure in the cell including DNA, RNA, the organelles, the cellular membrane, the processes of transcription and translation for making proteins are also made up of proteins. Even the conversion of energy from ADP to ATP is made up of proteins. So without God as creator how could you ever get (by natural causes alone) the first proteins when proteins are required in all these structures and processes? It is not logical to think that they came about by natural causes. Dan I hope you give some serious thought to the above and check out books from Lee Strobel (local libraries have them too). 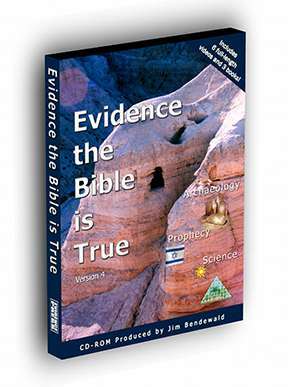 You can also send me a message by going to www.EvidencePress.com and go to the contact page. +Jim Bendewald which GOD are you referring to? every religion claims their GOD created everything, what method did you use to determine that yours actually did it? +dan b The mono-theistic God of the Bible makes the most sense. All the eastern gods are limited in time and space and many are not personal. The God of the Bible is the creator of all time, space and matter and is not limited by them. He is also personal in that He has revealed Himself to us through the Bible. He has provided clarity about us as His children, that we are sinners and lost without believing in and receiving Christ as His Son and our Savior. Only the God of the Bible loves us unconditionally in the midst of our sin. The God of the Bible has the power and knowledge to create the universe and produce life along with the coding in DNA.